If you are looking for a gorgeous engagement shoot in the mountains look no further than McCall Idaho. Todd Nichols photography is the top engagement and wedding photographer in idaho. We are McCall photographers specializing in engagement photography for your wedding day. Wedding venues in McCall are known inside and out to us. We have shot hundreds of weddings in McCall. 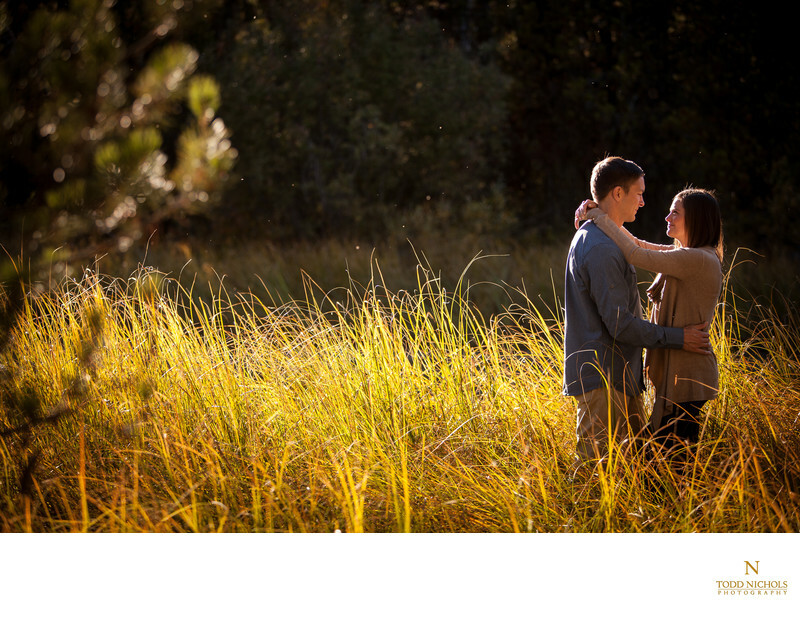 We love this fall engagement session in McCall! The beautiful fall colors and warm setting sun made this engaged couple glow! Because we are also a Boise wedding photographer we frequently meet our couples in the treasure valley and travel with them to McCall for their mountain and lake destination wedding at Shore Lodge. We love creating fine art photography images for our engaged couples! We are a full-time Idaho professional wedding photographer team. 1/250; f/2.8; ISO 100; 95.0 mm.